I’ve come to realize that most companies really are unaware of the types of analytic consulting that exist and the type they need, or want. It’s important that you, as a client, understand them so you can decide what you want provided to you as a service. Data capture consulting most often involves providing some type of audit of data, or updating/customizing to current data capture systems. For example your consultant could implement new tabs in your analytics tool of choice. It could also involve getting into the tool’s admin area, as in the case of Google Analytics, to configure internal site search data capture, setting up goals and goal values (if you don’t have any of these then your web analytics is not providing you the deep insights it’s designed to do). This is what you get when you say to your consultant “Tell me how many visitors I get each week”, or “Keep me updated on my bounce rate”, or “We’re using such & such analytics program and need this list of reports sent to us weekly”. As you can see all that’s really happening here is that the agency is just dumping the existing metrics into a report, and sending it off to you. Data reporting does not require much thinking so it’s easily automated. When I talk with companies and they tell me they are using an analytics consultant this is typically what they are getting. Most tools included with program packages like the SproutSocial.com, or Hootsuite.com fall into this category. The tell tale sign that you’re getting data reporting is the report sent to you is full of cool looking graphs, and charts. I’m not saying that this is completely useless. In fact this type of analytics was actually my gateway into the digital marketing space way back in 1999 when I developed AdTrac™. AdTrac™ was an automated analytics tool used exclusively by retail automotive dealers to simply answer very specific questions about call traffic generated from offline advertising. But to maximize the information and insights available from your data you need more. This brings me to the next category. This is what you get when you can’t provide much, or any specific guidance to your analytics consultant. All you know is that you’ve got a problem, or that you need to determine ROI for this campaign or that campaign. Recently I was asked by someone at Penn’s law school why people were not watching a video they produced earlier this year. This is a prime example of a ‘data analysis’ type need. “Tell me why people are not watching this video”. Most web analytics consulting companies don’t have people with optimal skills to do this level of work. A data analysis report will be mostly written text because it’s informing you of the current situation, and advising you of what to do based on the numbers. 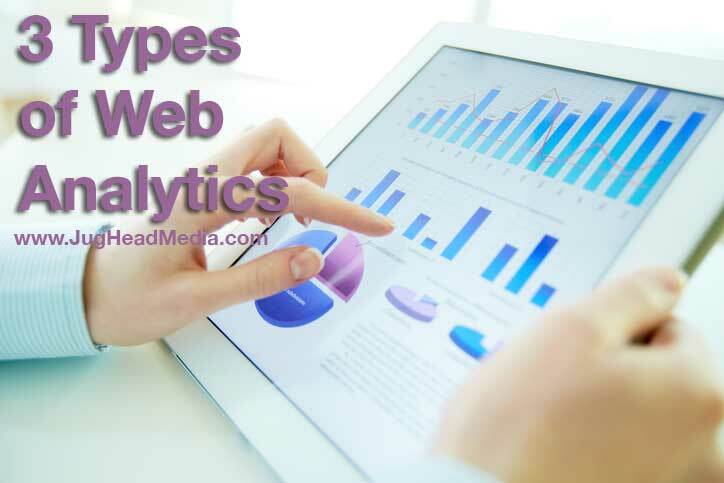 Special thanks to Avinash Kaushi, Google Co-Founder, for helping us to better understand these broad categories of web analytics.